Air-conditioners are an utmost necessity nowadays given the scorching heat one faces during the summers. And if owing to your cruel fate, the air-conditioning system stops working in such a peak season, you can understand the blasphemy it can create. If you want to get rid of this blunder as early as possible, don’t try to do a DIY repair and instead, opt for a repair service. We, at Bolton Construction & Service, can be a great choice for you. We are a family owned and operated company that has been in the industry for 9 years. We are completely licensed and insured. Along with AC repair, we also provide you with drain cleaning, plumbing, electrical, fire sprinklers, whole-house generator services and so on. You can also carry out a smooth and efficient servicing of all your equipment with our Bolton Family Maintenance Plans. So, if you are located in and around areas like Clayton, Garner, or Holly Springs, you can resort to us without any hesitation. Here we have put together a few reasons why we, at Bolton Construction & Service, are well-known for their air-conditioner repair services. Take a look. 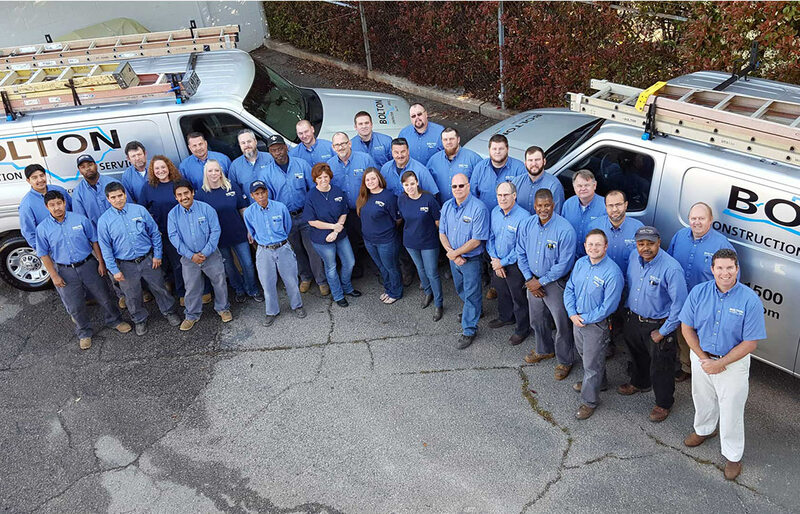 First of all, we are a team of highly experienced, knowledgeable, and well-trained professionals who know how to diagnose the malfunctions and accordingly come up with a plausible solution for your ac. So, we can fix your ac no matter what the problem is. Next, we understand that emergencies are sudden and can come without a warning. Therefore, if you experience a sudden failure of your air-conditioning system, you will need to fix it right away. And we are open 24×7 to cater to your needs. This shows that we are a reliable choice. Last but not the least; we take care of all our clients irrespective of their budget. So, we price our services at quite a minimum rate which ensures you can save your hard earned money. So, if you are interested in availing our services, quickly contact us now.